You have your reasons for eating healthfully: You want to manage your blood sugars, you want to lose weight, you want to live longer…whatever those reasons are, you’ve set your mind to it. But where you might feel somewhat stuck is preparing healthy meals. It’s not that you don’t know what to eat, it’s that you may be struggling to cook healthfully, or you don’t have the right kitchen equipment to whip up a tasty — yet healthy — meal (or snack) for you and your family. While no one wants or needs unnecessary kitchen gadgets to clutter up the counters and drawers, you might like the idea of stocking up on some of the more useful tools. Cooking and meal preparation will be a breeze, and you might just wonder how you ever lived without them! For the most part, people don’t have the time or the inclination to slave away in the kitchen, especially when they’re juggling a full-time job and shuttling kids off to extracurricular activities. Along with a busy life comes the temptation to spend as little time in the kitchen as possible; as a result, you might turn to frequently eating out or ordering take-out. But eating away from home is costly, both in terms of money and the risks to your health. If you want to start spending more time in the kitchen — but not that much more time — consider having the following tools on hand to make your life easier. A spiralizer. Maybe you’ve seen this on TV. If you love noodles but don’t love the carbs they contain, this could be the tool for you. A spiralizer quickly turns your favorite vegetables — zucchini, summer squash, carrots, beets, peppers, cucumbers, sweet potatoes — into noodles. You can cook the noodles and top with your favorite healthy sauce. Or not — enjoy your “noodles” raw and tuck them into a salad. Presenting veggies in this fashion might even get your kids to eat more of them! Many different spiralizer brands are available, at all different price points. Cuisinart, Hamilton Beach, and KitchenAid versions are highly rated. KitchenActive makes a less expensive, hand-held version. A rice cooker. Who needs another gadget on the counter? Well, you might want to make room for this one. Rice cookers are practically foolproof, so you won’t end up with mushy or overcooked rice. 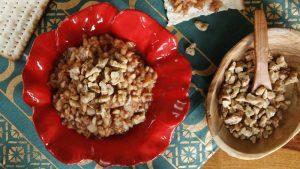 You can also cook other types of grains in them, such as quinoa, farro, spelt, and oatmeal. They’ll free up your stove burners and keep the grains warm until you’re ready to eat. The best thing about rice cookers, though, is that they’re up for multitasking. 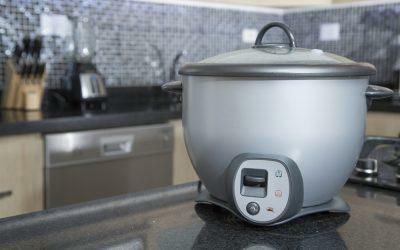 You can steam vegetables; make soup; and cook eggs, beans, fish, and meat in a rice cooker. Highly rated brands include Zojirushi, Hamilton Beach, Aroma Housewares, and Instant Pot. A Greek yogurt maker. Greek yogurt has a lot going for it: It has nearly twice the protein of regular yogurt; it’s lower in carbs; and it’s a rich source of probiotics, calcium, potassium, and zinc. However, it can also come with a somewhat hefty price tag. And some Greek yogurts have added sugar and thickeners. If you can’t get enough of this creamy yogurt, why not make your own? It’s easy enough with a Greek yogurt maker. You can control the ingredients that you add — for example, you might use soy or almond milk — and leave out the ones you don’t want, such as modified food starch or guar gum. Check out these products: Euro Cuisine YM80 and Dash Greek Yogurt Maker. An oil mister. Using a vegetable oil cooking spray prevents foods from sticking to your sauté pan or baking pan, and it saves on calories. But some people are uncomfortable with the other ingredients in these sprays, including diacetyl (an ingredient in butter flavoring) and propellants, such as isobutane. Why not make your own oil spray and save money at the same time? Oil mister bottles are available in most cooking and department stores. You choose the type of oil you want to use: olive, peanut, and avocado oils are good choices. You can even flavor the oil with herbs and spices, if you wish. Suggested brands include Misto, Savora, and Delta Evo. A popcorn maker Believe it or not, popcorn is a whole grain, making it an excellent choice for a snack. But pouring on the melted butter or using microwave popcorn bags takes away much of the health benefits. You can still make healthy popcorn in the microwave. Try the Lékué PopCorn Maker, a silicone, collapsible device that goes right in the microwave and pops your corn in 2–3 minutes, without fat. Or try the Microwave Popcorn Popper available at UncommonGoods — it looks like a glass tea kettle and even has a little space on top to add butter, if you desire. Food Huggers. These are ingenious gadgets that keep partially-used fruits and vegetables from going bad, preventing waste and saving money. These nifty, reusable tools are made of silicone and come in different sizes. They help preserve the freshness of your fruits and veggies after you’ve cut into them. No more brown apples or avocados, no more shriveled up cucumbers or lemons. You can purchase them at your nearest Walmart or from online at retailers including Amazon and UncommonGoods. Salad chopper tongs. Salads are great, and we know we should eat more of them. But it can take a lot of time to do all the prep work. These tongs look like oversized scissors — just toss your salad veggies in a bowl and chop away! No more dragging out the cutting board. You can do everything in one bowl. And they’re not just for salads, either. Use them to cut vegetables for stir-fries, soups, and other dishes, too. Look for these brands: Trudeau, Silvermark, and Williams Sonoma. An egg separator. Separating egg yolks from egg whites takes skill and patience. If you’re, say, making meringue cookies, a soufflé, or a fluffy egg white omelet, getting yolk in your whites is a no-no. Sure, you can buy egg separators in a cooking store, and they generally work well. But why not try this clever hack? Use a small, empty plastic bottle, such as a water bottle. Squeeze the bottle slightly, then hold the mouth of the bottle against the egg yolk, and voila! Thanks to suction, the egg yolk easily separates from the white. You’ve got the yolk in the bottle and the white still in the bowl. How clever is that? To see this in action, watch this YouTube video. Amy Mercer can’t blame diabetes for her love–hate relationship with her body, but diabetes certainly didn’t help. Bookmark DiabetesSelfManagement.com and tune in tomorrow to read more.